Yogis don’t travel quite like everyone else. While others focus on photo-ops and tourist attractions, yogis travel in search of a deeper experience. Sure, the Eiffel Tower is great—and no one says “no” to a beach selfie!—but the true pleasure of traveling comes from making a connection with the sights, sounds, and smells of your destination. Whether you need a relaxing escape or an outdoor adventure, a yoga retreat is the perfect way to see the world and deepen your practice at the same time. Check out these ten upcoming yoga retreats that you should escape to as soon as you can! 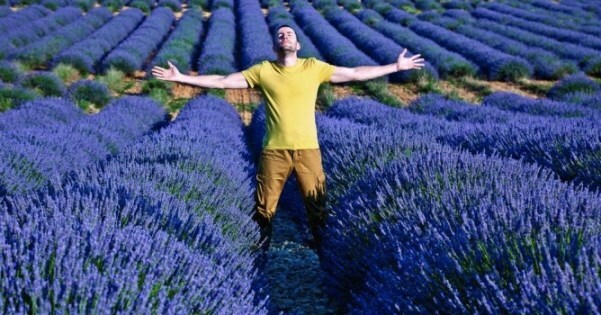 Imagine practicing your Vinyasas in a 15th century abbey-turned-French villa, wrapped in the soothing aroma of lavender. If you love sun-soaked afternoons, incredible Provençale cuisine, and of course, plenty of wine, then this mindfulness meditation-focused retreat is the perfect way to enjoy la belle vie. 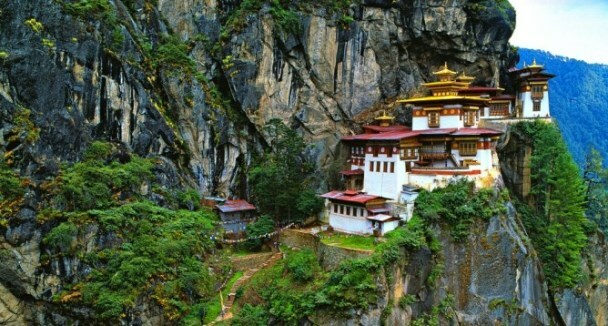 Bhutan is a small nation that many people would have trouble finding on a map–and when it comes to preserving an ancient culture, that’s kind of a good thing. Immerse yourself in the deeply spiritual culture of Bhutan on this yoga-focused retreat. In addition to deepening your practice, you’ll explore this mountainous nation like a local with the retreat’s much-loved Bhutanese guides. Trade the usual crowded cruise ship for yoga sessions on the deck of this elegant wooden gullet that looks like something out of a pirate story. 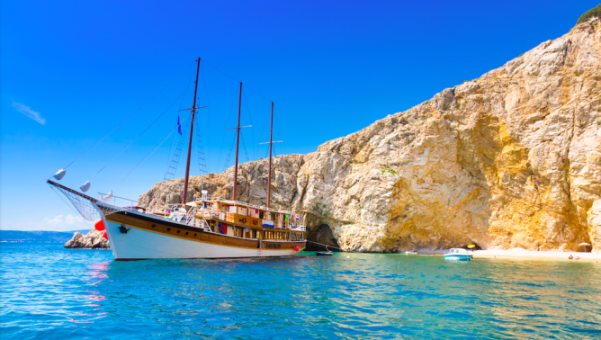 When you’re not communing with your inner sea goddess onboard, a local guide will lead you to hidden islands and blue lagoons, where you can disembark to enjoy Croatia’s charming coastal villages and stunning landscapes. 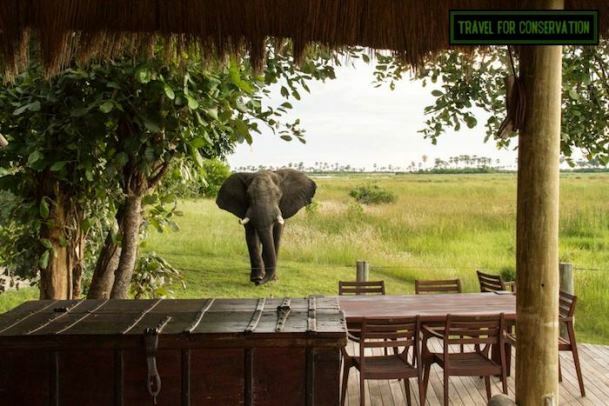 Every adventurous traveler dreams of embarking on an African safari—but when you add yoga and a spirit of conservation to the equation, you get a journey that’s seriously once-in-a-lifetime. Join New York City’s famous Vida Yogi studio on a getaway to Botswana, home to some of Africa’s most pristine wilderness. Sessions here focus on the transformative properties of yoga, an approach that goes hand-in-hand with the retreat’s message of conservation through eco-conscious tourism. Can’t get the image of white sand beaches out of your head? 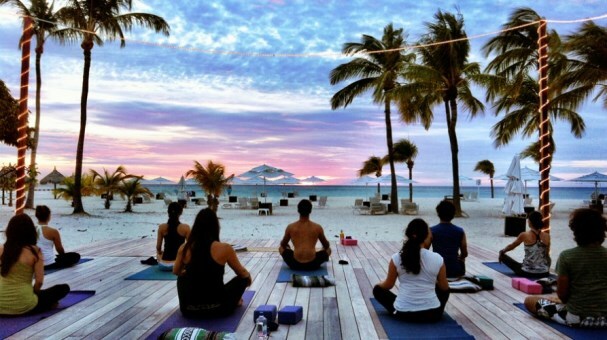 Check out this retreat in Aruba, where you can practice yoga on soft sugary sands leading to dazzling turquoise waters. Classes take place on both land and sea, with sessions that blend yoga with SUP boarding. Down time is well-spent with snorkeling and catamaran tours around the island. Don’t have time for a week-long retreat? 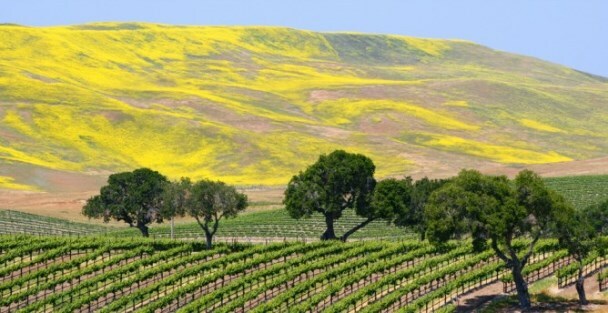 Check out this Wine, Dine, and Yoga weekend retreat in California’s picturesque wine country! This is the perfect getaway for yoga newcomers and seasoned yogis alike with its laid-back approach to wellness, best described as “healthy hedonism.” If you’re trying to get your special someone interested in yoga, this weekend retreat may be the world’s easiest place to get them hooked. 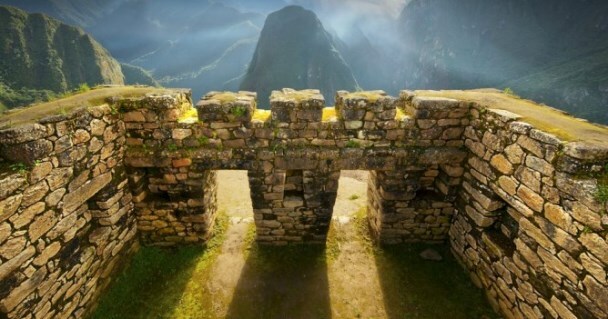 Times Square has nothing on this yoga retreat, which celebrates the New Year at the ancient ruins of Machu Picchu! Guests spend six nights at the retreat center in Peru’s unbelievable Sacred Valley, Explore ancient Incan ruins and Peru’s living indigenous culture with excursions throughout the valley, including a hike to Machu Picchu. Is there any place on Earth more perfect for a yoga retreat than Bali? We think not. 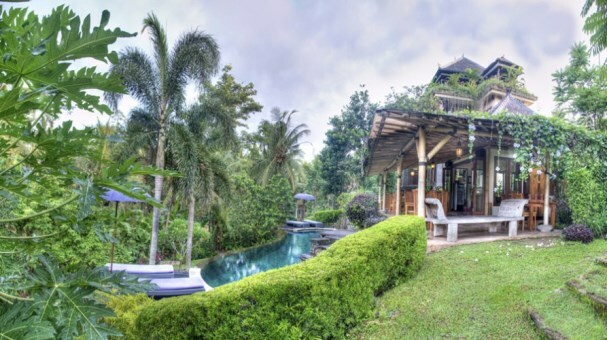 Located just outside Ubud—AKA “the Yoga capital of the world”—this retreat’s accommodations blend local customs and architecture with modern luxury. With an open-air yoga pavilion that looks out over spectacular rice terraces, temples, and jungle, you’ll locate your inner bliss within minutes of arrival! When you think “yoga retreat,” Iceland may not be the first place that comes to mind—but that’s sure to change when you see the raw natural beauty Iceland has to offer. Take your practice to the waterfalls and glaciers of this wintry country. Keep warm with with yoga sessions at the retreat’s center in Reykjavik before enjoying their incredible excursions including snowmobiling and a dip in the geothermal-heated Blue Lagoon! This gorgeous retreat is more than just a pleasure for all five senses—it’s also the perfect way to help those in need. This Moroccan yoga retreat partners with Project Soar, a group that helps underprivileged communities in Marrakesh better their lives through art, design, and movement. So go ahead and indulge. After all, it’s for a good cause! So, where will your yoga practice take YOU? What is your dream destination for a yoga retreat? Do you have a retreat that you'd like to share with DoYouYoga?